Agrimed Limited | Veterinary Pharmacy in Malta. Pet products and medicines. 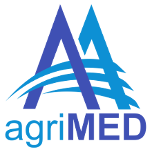 Agrimed Limited is a private company based in Malta that operates in the sector of veterinary pharmaceuticals and related areas, aiming at providing the best in animal health to the veterinary community in terms of products and services. The Agrimed Animal Health-Care Centre building consists of a large wholesale area for the storage of veterinary medicinal products including cold-storage facilities. A veterinary pharmacy also forms part of Agrimed’s premises. This is a licensed activity strictly controlled by the local authorities requiring the full time employment and supervision of at least one pharmacist. Since 2015 , Agrimed Limited and an independent partner opened and operate APH Hospital which is the only veterinary hospital in Malta providing a 24 hours service. A pharmacy and a pet store also form part of APH Hospital. A vital feature that continues to make Agrimed an indispensable partner in most veterinary practices is the regular and prompt provision of both goods and expertise. When it comes to medicinal products we strive to give a same day delivery service. A team of professionals ensures that we can respond quickly to our customers’ requests. But what really sets Agrimed apart from other local companies is the Drug Information Service we provide veterinarians. Many vets visit us regularly to update themselves on any innovations, new products etc. They often call to verify dosages and indications of medicines, which thanks to our regularly updated references we can provide at all times.